You never know when your intrepid hound will provoke a snake on the trail or run off into the darkness to chase a raccoon. 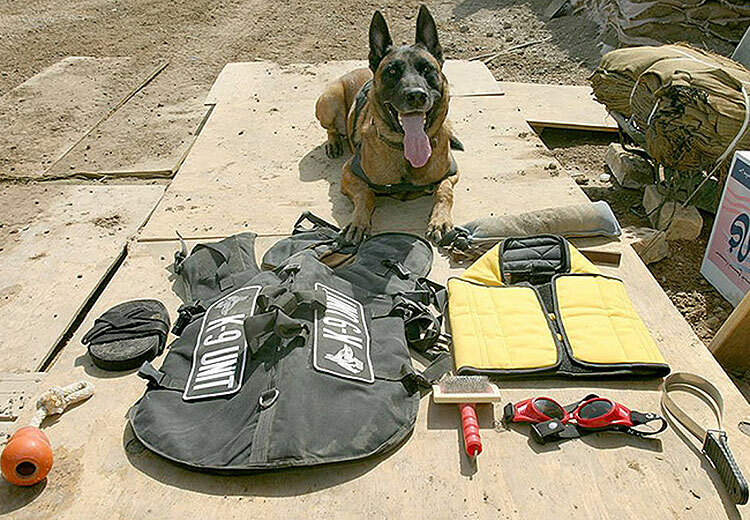 Blue Collar Working Dog carries all manner of camping and hiking paraphernalia for canines. Along with snakebite kits and collar lights (handy for neighborhood walks, too), you’ll spot items that ensure pet safety and comfort in the wild: backpacks that let animals carry their own water while you conserve energy for gathering firewood, life jackets to keep pups afloat if they slip into a swiftly moving river, and cooling vests to prevent overheating in the desert.